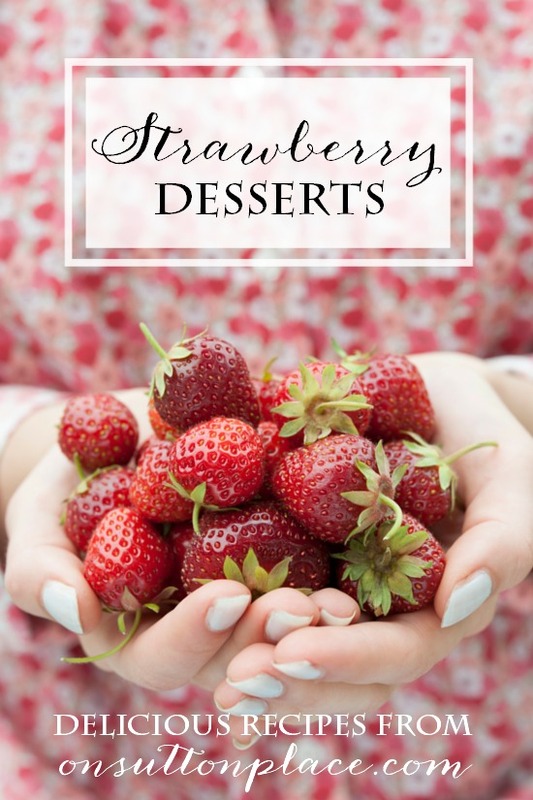 A free eBook download containing ten of the best strawberry dessert recipes ever! Includes bread, muffins, no bake recipes, and more! Here in the midwest, strawberry season is similar to peony season. If you blink, you might miss it. It’s highly anticipated and very short. Homegrown strawberries are one of my favorite things. Ever. 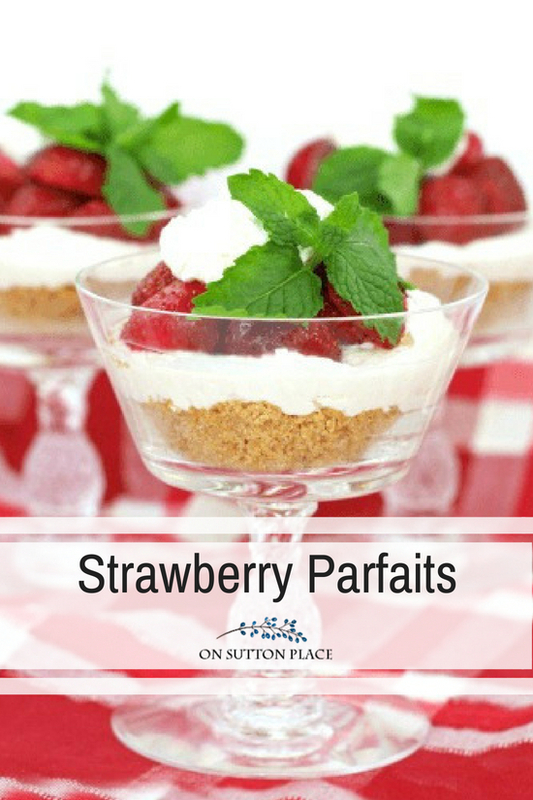 What follows are ten recipes centered around strawberries. Mostly desserts, with muffins and scones thrown in. There’s also a printable ebook download available at the end of the post. 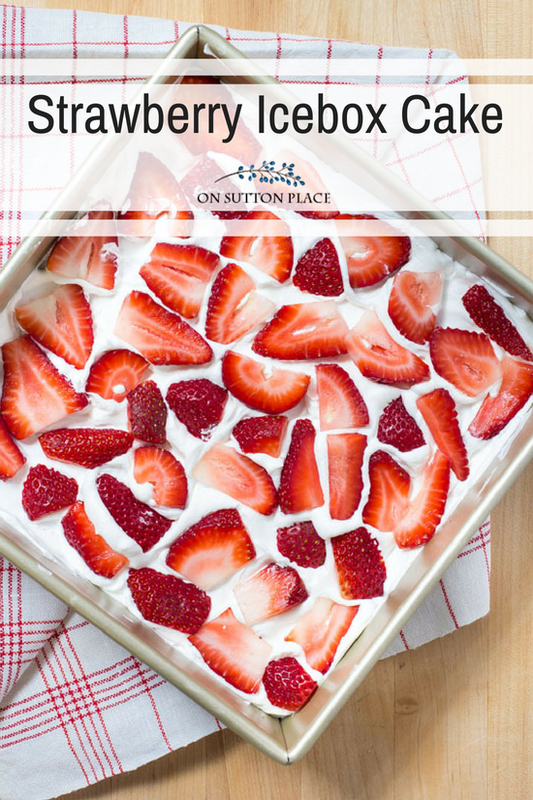 Take a look at these strawberry dessert recipes and I’ll see you at the end! 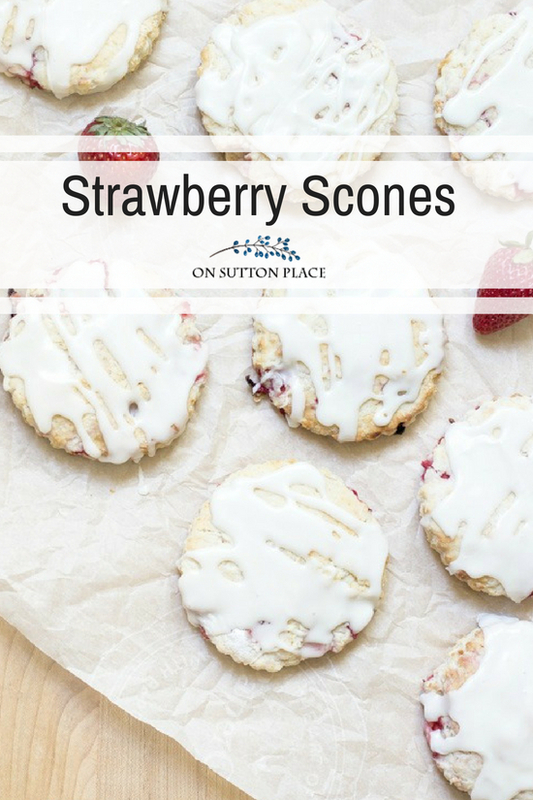 Easy recipe for Fresh Strawberry Scones. 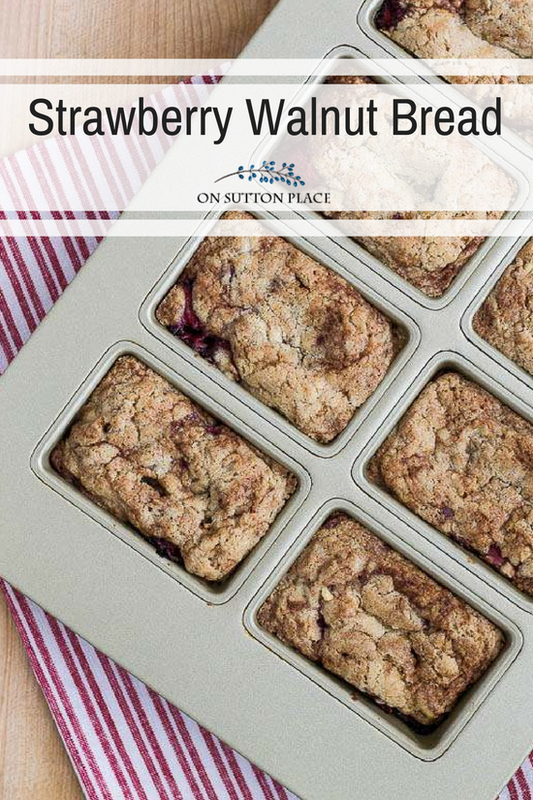 Step by step directions with photos that will turn out the perfect scones. The finishing touch is an amazing glaze that adds just the right amount of sweetness! 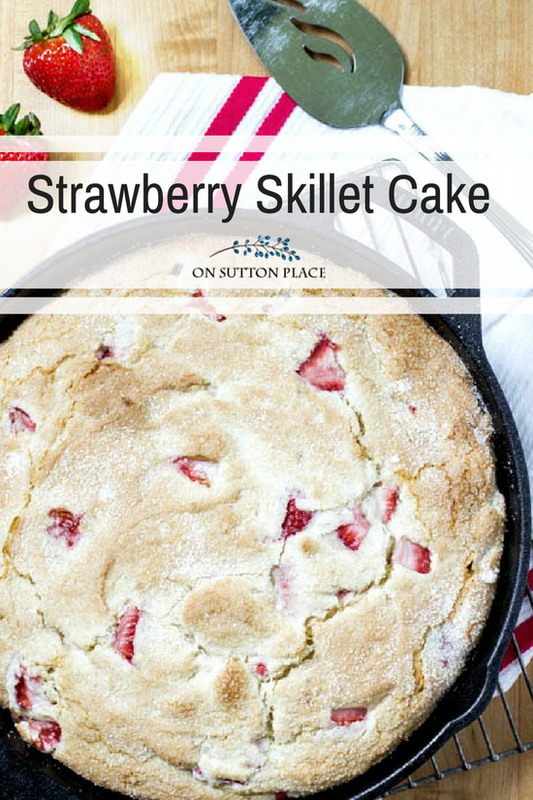 An easy recipe for Strawberry Cream Cheese Skillet Cake that’s super moist and delicious. Fast enough to whip up for weeknight dinners or family gatherings. 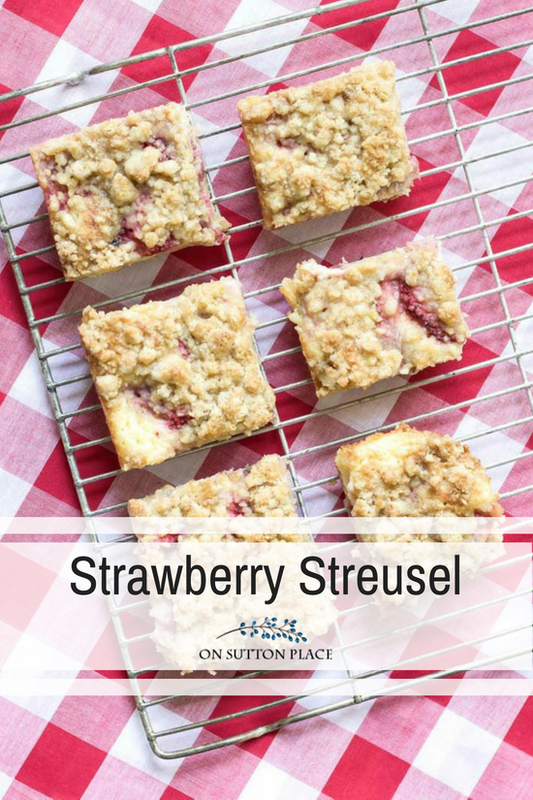 This fresh Strawberry Streusel recipe combines sour cream, a delicious streusel and ripe strawberries for a delicious and easy dessert! 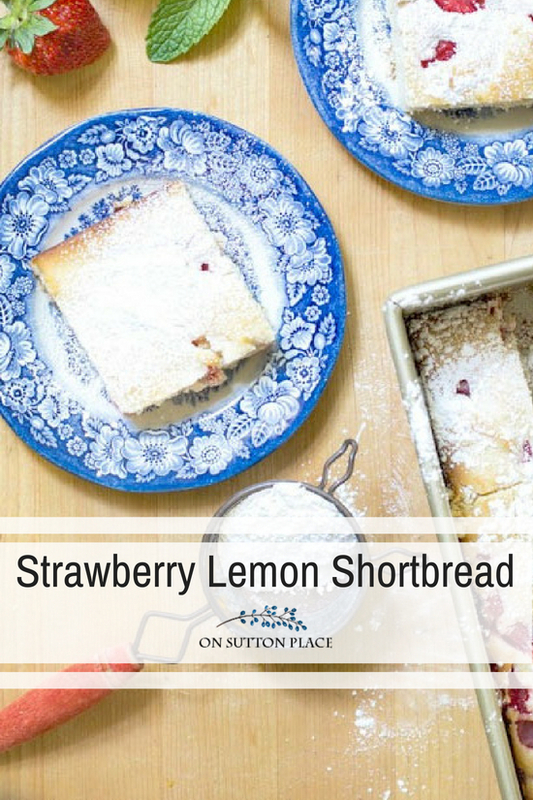 These Strawberry Lemon Shortbread Bars are a quick and easy dessert that gets its incredible taste from fresh lemon and strawberries. The perfect shortbread recipe. 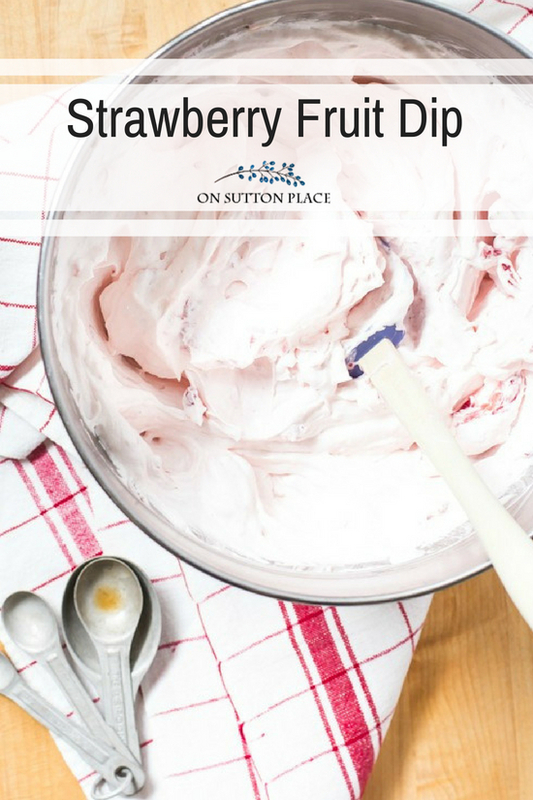 Easy, quick and very pretty, this make-ahead Strawberry Cheesecake Parfait Recipe has a delicious cheesecake filling and is perfect for family gatherings or holiday dinners. There is nothing better than fresh, homegrown strawberries. Combine them with cream cheese and all I can say is YUMMO! 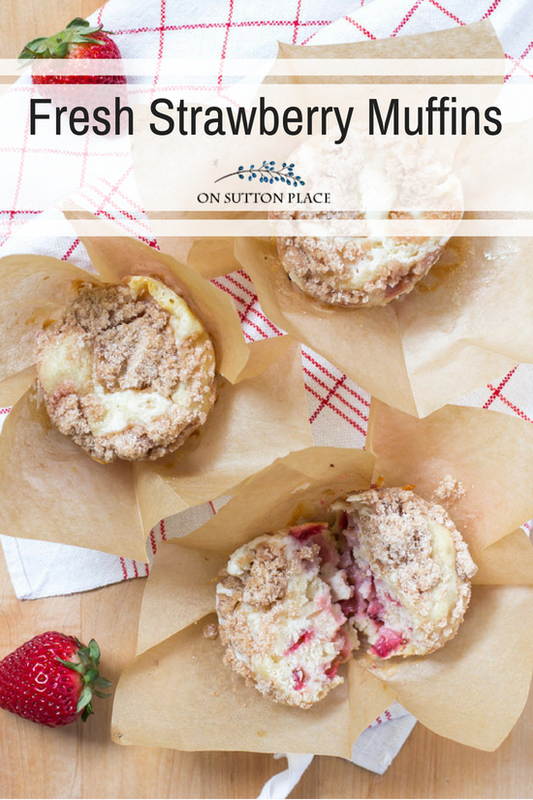 This recipe for Strawberry Cream Cheese Muffins is simple and packed full of flavor. This Strawberry Bread Recipe with walnuts is crunchy on the outside with amazing texture on the inside. Easy, delicious and uses basic pantry ingredients. 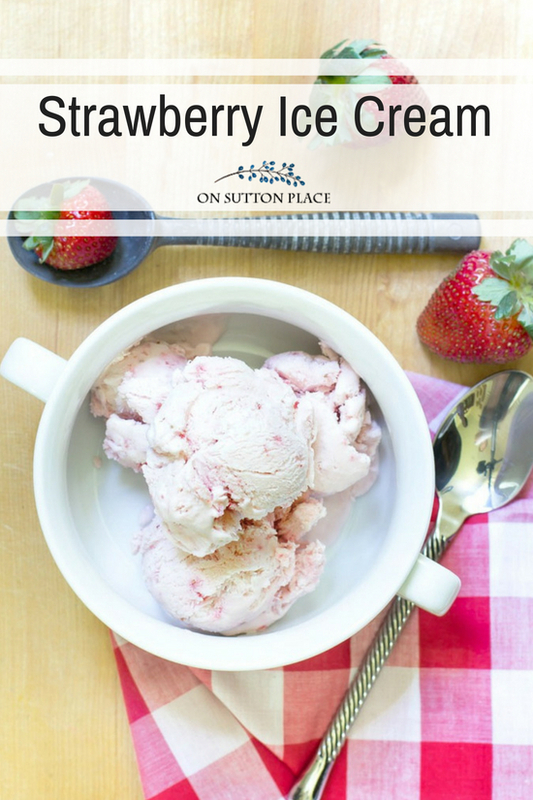 No Churn Strawberry Ice Cream: so easy that you won’t believe how creamy and fresh it tastes. No ice cream maker required! 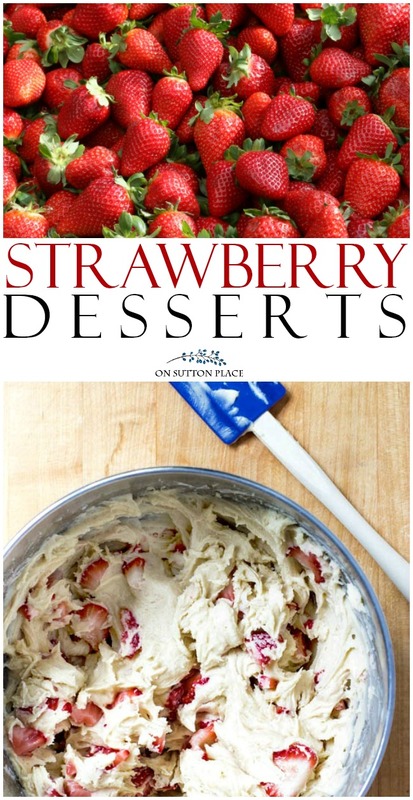 Strawberry Desserts At Your Fingertips! Now it’s time to talk about the free eBook download that’s available only to OSP email subscribers. I realize jumping all over a blog trying to find recipes is not a fun thing to do. That’s why I put them all together in one PDF. 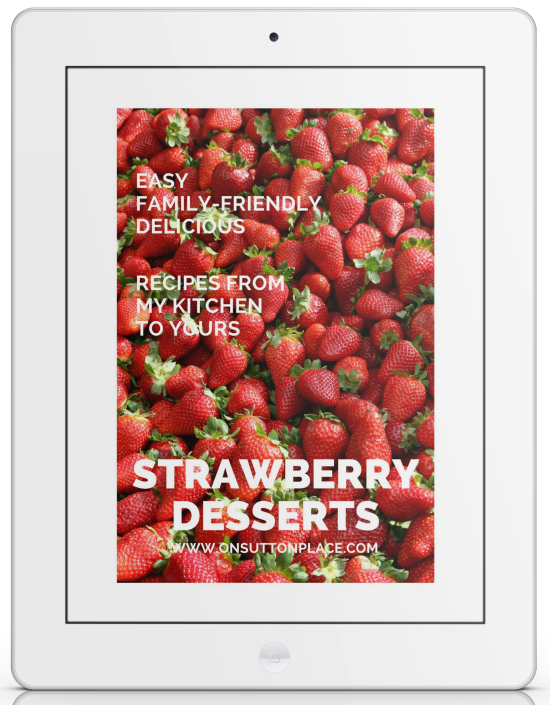 If you are already an OSP email subscriber, you can get this free eBook download filled with 10 strawberry dessert recipes at any time in the Members Only Library. If you would like to join my email subscriber list, just fill out the form below. This eBook will arrive in your email inbox shortly after you sign up! OSP subscribers have access to the Members Only Library at all times. It is full of printables, gift tags, more ebooks, checklists, and more. The library is always growing too. I think all these look delicious. I’d love it if your site was listed on the printable recipe. If I pass it on, I’d love for my friends to join this site. I love cooking in cast iron and plan to fix the cream cheese Strawberry Skillet Cake soon. I’ve got the grocery list ready. Thanks so much for sharing and making your recipes so pretty to read and copy. I love having a pic of the finished recipe for reference. Yum yum. Strawberries are my favorites. I love making scones and the rest sound wonderful. Thank you. Summer is calling, everything looks so delicious ! Eagerly looking forward to enjoying the Strawberry Skillet Cake. Will pick up some strawberries this morning at the market. Another good use for my cast iron skillet.